In case you didn’t know – which is unlikely given that it’s everywhere on the internet – today is Star Wars Day. As such, we’ve been seeing countless videos, photos, promos and more to celebrate the occasion, but tonight, we’ve stumbled across a pretty unique one, as it manages to effectively mix Star Wars with a property that you normally wouldn’t associate it with: AMC’s The Walking Dead. As you can see below, the network has put together four awesome character posters featuring stars from the hit series. Those familiar with the promotional campaign for Star Wars: The Force Awakens will immediately recognize these shots as being the same ones used for the marketing for that film. For instance, in Han Solo’s place we have Daryl while Maggie takes on Leia’s position. 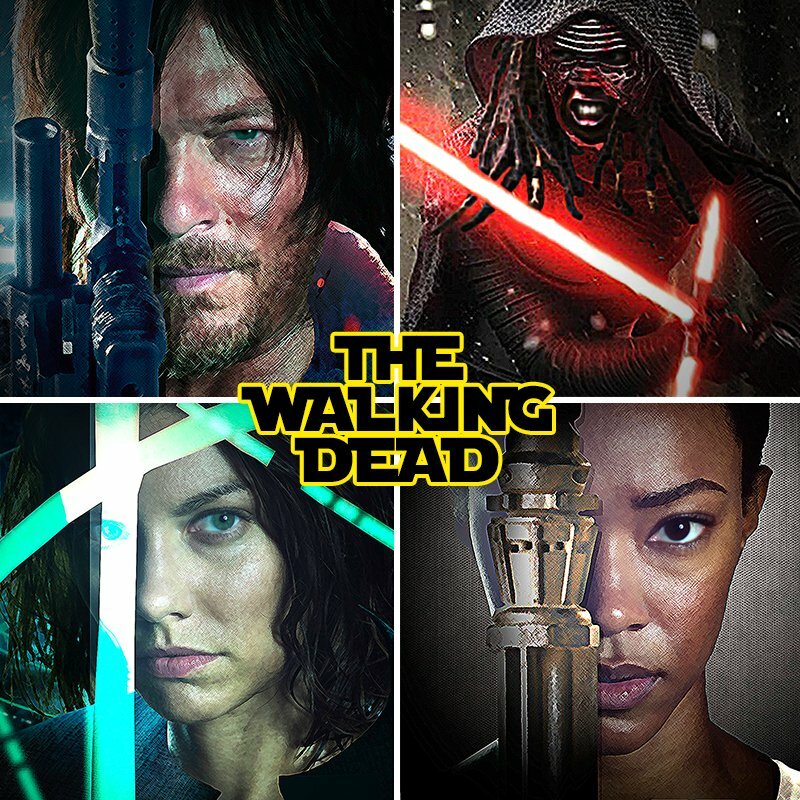 Rounding things off are Michonne posing like Kylo Ren and Sasha as Rey. While they rarely cross paths, this isn’t the first time that The Walking Dead has come into contact with Star Wars. Not too long ago, we got a poster for the former done in the style of the one-sheet for The Last Jedi, while there was also that “Darth Negan” image which went viral a few months back. As with both of those crossovers, this one’s another fun piece of art and should definitely put a smile on the face of fans of either franchise. Take a look at the clever character posters for The Walking Dead below and be sure to let us know which one’s your favorite.